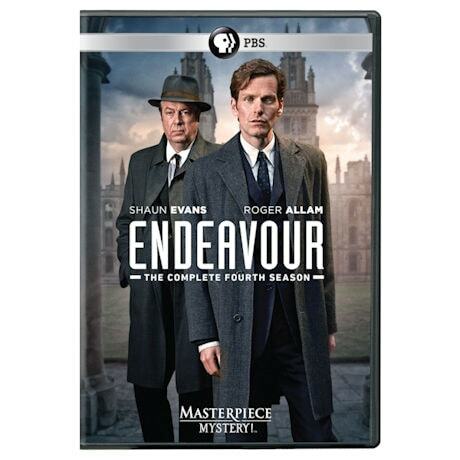 Shaun Evans, charms audiences with his portrayal of the younger version of crusty Inspector Morse in this highly successful and cerebral prequel. 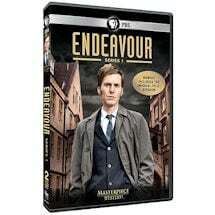 Season 4 is set in 1967 as the Cold War and sixties counterculture begin to affect life in Oxford. 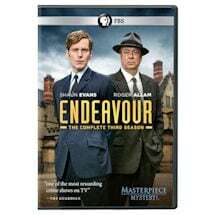 DC Endeavour Morse awaits the result of his Sergeant's Exam, while DI Fred Thursday and his wife Win struggle to cope with their children flying the nest; Sam gone to the Army and the traumatized Joan, gone off to who knows where? 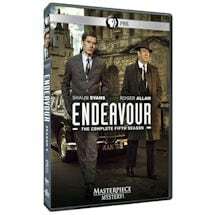 480 minutes on 2 DVD or Blu-ray discs. SDH. Mature audiences. We regret we cannot ship this title to Canada. 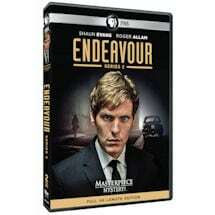 Endeavour finds himself consumed by a nightmarish case hunting a serial killer; he must race against time to find the connection between a chess-playing "thinking" machine and a baffling drowning. Whispers of a cursed hospital ward and a seemingly innocuous death begin a chain of events that lead Endeavour to investigate the dark depths of Oxford's medical community.